Join us for a fun, relaxing evening to celebrate the coming of the New Year. Honoring the Blue Moon and Ask for your Dreams to Come True! Reverend Cheney approaches dream analysis and its practical application from the unique perspective of her 30+ years work as a talented psychic, clairvoyant and trance medium. She believes your dreams are asking to be your most personal intimate helpers. She illustrates the many colorful sometimes humorous or dramatic ways in which your dream maker is constantly working to give you guidance and direction. Reverend Cheney’s own experience with dream work has convinced her that the information offered in the dream state can bring healing on many levels. She believes dreams are able to offer solutions to any life situation or challenge. At the time of the workshop Reverend Cheney encourages you to have one of your personal dreams in mind for study. For further information you may email RevLois@gmail.com or telephone her: 941-961-2783. As the couple sat before me, I could see their smiles turn inward as we began to discuss their relationship issues concerning religion. Yes, it was time to talk about the pink elephant sitting in the living room that no one wanted to notice. Candace was a liberal Buddhist, as she would say, and Mark was a conservative Christian. They were deeply in love they said, had been dating for 8 months, and found their way into my office when their discussion about marriage and children always ended with an argument over religion. Candace believed in many different paths to create a connection with the inner divine, while Mark saw one path to salvation, as it is stated in the bible that he referred to often. After 45 minutes of a somewhat heated discussion, they realized that it would take more than love to make their relationship work. When it comes to topics that can derail any relationship, religion, politics and money usually lead the list. If a couple decides to discuss their differences head on, and not hide from them for months at a time as these two had, the resentments about their different opinions will be lessened. 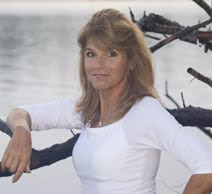 Unfortunately in this case, they both had major resentments against each other, and one of the reasons Candace felt so slighted was that Mark said during our session, that he would never raise their children in any other way then the Christian path. This strong statement had never been shared with her before. She said if she would have known this months ago, she may have seen that the challenge for her beliefs was too great to bear, and would have moved on. In this situation, the greatest problem couples face is their desire to not rock the boat, to keep a distance from the topics that cause an initial separation. As time goes by, the problem becomes bigger because of the resentments behind the problem on each side. After working with this couple for 4 weeks, Mark decided to end the relationship, as he saw more clearly over time that his beliefs could not be compromised. We worked as a team to make sure that everyone agreed that no one was right here, that no one was wrong, and that their opposite beliefs were to be respected. They both learned a very hard and painful lesson about the early stages of love, and how we sabotage the chances of it flourishing when we do not commit to being honest about our differences from the beginning.Mark also came to realize the hard way that he truly needed to be looking for a woman who shared his own religious beliefs only, and that dating anyone from outside of these beliefs would lead to heartache and frustration. Slow down in any stage of a relationship to ensure that the love you have is real, and that you can openly and honestly discuss the differences of opinion that you may have in your current relationship regarding religion, marriage, love and children. Love alone will never be enough to keep you in a healthy relationship together. In her first work St. Teresa explains the grades of prayer by using the symbol of the "four waters," or more precisely, the four methods of watering a garden. The first method is by drawing water from a well by means of a bucket attached to a rope. This is the first stage of prayer and it includes vocal prayer and discursive meditation. The individual is active, exercising the faculties and reaping what benefit it can through one's own efforts. But lest the beginners think too much and turn their discursive meditation into an intellectual exercise, St. Teresa advises them "not to spend all their time in doing so. Their method of prayer is most meritorious, but since they enjoy it so much, they sometimes fail to realize that they should have some kind of a sabbath, that is, a period of rest from their labors. . . . Let them imagine themselves, as I have suggested, in the presence of Christ, and let them continue conversing with him and delighting in him, without wearying their minds or exhausting themselves by composing speeches to him" (The Life, chap. 13). If one prays in this way, conversing with God who dwells in the soul through sanctifying grace, even if the prayer is vocal, the mind will be recollected. It is called prayer of recollection because "the soul gathers together all its faculties and enters within itself to be with its God" (loc. cit.). This may prove to be something of a struggle in the beginning, says St. Teresa, but if a person cultivates the habit of recollection, the soul and the will gain such power over the senses that "they will only have to make a sign to show that they wish to enter into recollection and the senses will obey and let themselves be recollected" (ibid.). I still want to describe this prayer of quiet to you in the way that I have heard it explained and as the Lord has been pleased to teach it to me. . . . This is a supernatural state and however hard we try, we cannot acquire it by ourselves. . . . The faculties are stilled and have no wish to move, for any movement they make seems to hinder the soul from loving God. They are not completely lost, however, since two of them are free and they can realize in whose presence they are. It is the will that is captive now. . . . The intellect tries to occupy itself with only one thing, and the memory has no desire to busy itself with more. They both see that this is the one thing necessary; anything else will cause them to be disturbed (chap. 31). The predominant characteristics of the prayer of quiet are peace and joy, for the will is totally captivated by divine love. The faculties of intellect and memory are still free and may wander, but the soul should pay no attention to the operations of these faculties. To do so would cause distraction and anxiety. Later on, in the prayer of union, it will be impossible for the intellect and memory to operate independently, because all the faculties will be centered on God. When we are faced with great, or even minor stress, the only way I know that we can begin to overcome it is to feel and bless it at the same time. Let me explain. There once was a man who had everything in life that anyone could ever desire. Great wealth, a wonderful family and a strong religious path. One day, almost like a great depression, or a stock market crash, all of his wealth was gone. Bam! Gone.When he went home, he went to prayer thanking God for all that he did still have. The very next day, his children were killed in a freak accident. Through his tears, he still thanked God for all that he had remaining, as you can imagine a very difficult thing to do.His friends came to ask him the reason for his extremely bad luck, assuming he had been the cause somehow of all of his troubles. But, in fact, he had not personally done anything that would have created the havoc he was going through. A short time later, he came down with a serious illness, life threatening, but still managed to find the strength to give thanks in his prayers.His wife and friends asked him to just give up, to let go of holding onto life, and his gratitude so strongly, so that he could end his personal suffering. But he refused, and instead everyday just went deeper into gratitude for what he still did have.Yes, he also questioned God, wondering how all of this tragedy could have entered his life. And right after that, went to praise. A while later, his life began to turn around. His health returned, his wealth returned even greater than before, and he had more children with his wife. An amazing experience!The one grounding force during all of his trials was his daily gratitude for what he did have in life. A powerful testament to the power of thankful prayers. Slow down, as you deal with stress today, feel the discomfort and then go to praise, to prayers of gratitude for all that you do have in life. Adventurer. Spiritual. Caring. Athletic. Healing. Sensitive. Explorer. Dependable. Trustworthy. Friend. Son. Brother. Client. The words above came to me in a split second when I stopped to write about Dauphie. I met Dauphie Piper through his sister, Michel, a number of years ago. Our first meeting was over the phone as he had decided he wanted to work with me as his life coach. From the very first conversation I knew he and I would work together perfectly. He was the type of client I truly admire— his zest for life and his ability to look deeply and honestly at his strengths as well as his challenges. Dauphie attacked life. He loved life. He was a searcher, a person who knew that his quest here had to have great meaning. When we first spoke, he was an intern as an emergency room physician. In this capacity, he was frustrated that he often only saw his patients one time. His desire was to do follow up with all of his patients, as he truly cared about their well being, but in the emergency room setting this rarely happened, and I know that bothered his sensitive nature. In my work with all clients there are writing exercises due within 24 hours after our session. The point of this work is to help every person I work with to go deeper into their own personal world to find the answers to the questions that are present during our work. Dauphie's work often came written an hour after our talks. His dedication to his path was evident in how seriously he wanted to be in the physical world, but also knew that his life had a great spiritual meaning as well. One of our most trans formative times came after I had asked him to read a very deep and powerful book called The Power of Now. We had continuous and extremely intense discussions on how he could apply the difficult principle of “living in the moment, every moment of every day.” This psychological “immersion” process meant that one would be totally conscious of all that was going on inside, feelings on a moment to moment basis, as well as what was happening in surroundings in the “outside world.” Dauphie took this exercise very seriously and it led to some amazing opportunities, self discovery, the type of discovery that he immediately started sharing with those around him. He began to seriously question the loads of “red tape” in the world of medicine that he believed prevented physicians from offering the utmost in patient care. On a personal level, this “living in the moment” became a powerful part of his daily runs while living in Chicago. He first started to notice the amount of homeless people he would pass on a regular basis. This led him to test his own ego — he began purposely making eye contact with them. His final exercise was to look into their eyes as he ran by them daily and to consciously “send them love”. He told me the most incredible experience would occur when in unison they would look back at him and smile. These experiences became commonplace for Dauphie.I was thrilled to have him in my life, not only as a client but also as a friend. When we met in person at a Barnes & Noble bookstore in Sarasota, it truly was like we had known each other for years.His ready and infectious smile put people at ease. His desire to explore the seas on his father's boat, travel to Asia to discover Buddhist Temples, or trek to mountaintops in Bolivia, were all a part of his amazingly adventurous spirit. The saddest phone call I have ever received came three weeks ago from Dauphie. With tears he told me of his recent medical diagnosis and that he may not be in this world much longer. He reached out to me with his incredible ability to share his deep emotion, telling me what I had meant to him, that he loved me for who I am and all that I am. Tears streamed down my face as I drove, not believing what I was hearing. I told him how much I loved him too, and how much I wanted to see him one more time. That one more time never came. Yet, as I write this, he is right here with me, overlooking my writing and making sure I don't leave anything important out (smile). In memory of this amazing man, I now intend to live more like him. I intend, in Dauphie's honor, to be more adventurous, to explore more of what all of life has to offer. He touched me in a way that as I write this I have to say was unexpected. While he came into my life to learn about the process I use to help others, he left teaching me as well. And Dauphie, in your honor, I will carry forward in life with a new zest for living with a new sense of adventure. How can I ever thank you enough for that. The divine feminine principle needs to come forward in your life. When She is ignored we have poverty, separation, lack, pain and suffering. The Light is not a He or a She, but if you will study Kabbalah, you will discover that our Monad, our Heavenly Parents are a He and a She. En Sof or The Light or the Source of All That Is, gave birth to them and they are in a sense the etheric version of Adam and Eve. When someone is connecting too strongly to one of the sides of the Godhead, it gives you a great deal of information about them. Not to judge them by, but to assist. Perhaps they need more of that energy....for a time...but eventually this imbalance will draw the counterbalance to them. I believe that as a woman part of my role in life is to be that counterbalance, to anchor and embody the Divine Feminine in our lives and I am intending for this. When we honor the feminine force within we have abundance in all things spiritual and material. Shakti! as the Hindu call it, is what breathes warmth into the coldness of life. Sophia or the Divine Feminine is the next step in our evolution. Her Holiness Sai Maa our beloved Mother embodies this. Buddha using the keys of compassion opened the gate for Christ, then Christ using the keys of unconditional love opened the gate for Sophia. Sophia is wisdom. She is the keeper of the receptacle to receive this compassion and agape. Without her we have no way to assimilate it and put it to use in our lives. Jesus and Buddha did not intend that we go around mindlessly uttering their name. They want us to embody the energies they hold and anchor it on the planet as they did. THAT is what opens our mass consciousness up to the next level of consciousness. Sophia - And the wisdom to know the difference. The Goddess speaks to you in the dreamtime. What are your dreams? You do not have to be at ground zero before you receive. Breathing consists of inhaling and exhaling, Receiving consists of give and take. The Desire to Receive in Order to Share must be stimulated. We must Ask, Request and Desire in order to create - She is the asking and the receiving. How are you allowing your community to heal and support you? Have you been empowering them? Where are you focusing the majority of your energy? We have run out of time in playing it small and holding things to the vest. We have run out of time, because we have been praying fervently for some very powerful things, such as divine union and unconditional love. These things will not look entirely like what we think they should look like. When you pray for these things you go places within yourself and with others, (and not just the others that you think) that are foreign to our old mindsets and experiences. I have a challenge for you. This is a shamanic journey assignment. What is happening right under your very nose that could help you? Literally right in your own space...(clue - check the church calendar) Who is in your community that can help you? (no clue needed for this one - there are many), but you must become receptive in order to receive the information. When we close our world inward we get smaller and smaller and then we are forced to reach out and RECEIVE. I always think on this myself and marvel at how odd it is (and I am no exception merely because I am writing this) that we have to be reminded to receive, to ask, to open and allow a floodgate of support to come to our aid. Everytime we call to God and the angels, they come. Their energy manifests mostly through people. And with the level of people we are surrounded by, they hear these messages louder and clearer than any other people we've ever been with. And therefore they act on these message. That is the blessing and the power of a fully functioning community. I am seeking and ever strengthening in holding the energy of the Divine Mother. We absolutely need her love. All of us have been missing the reception of her love. Why do you think the people in this church moved on from patriarichal religions? We are ready for more. We have been seeking and some have not even known what it is they were missing. But we are ready to receive her. She is the vehicle that brings us to life! He is what plants the seed! Yet, we must always protect and prepare the way for Her to be present in our lives in consciousness. As you can imagine, it is quite the task to become the receptacle for the containment of that raging river of the masculine force. Men can anchor this energy as well and need to do so, but the master responsibility to anchor this energy lies within women. I and all women need all the support we can get to do this. If enough women anchor it, then more men and women will be able to anchor it within themselves and it will not be so difficult as it has been. Divine Union will be anchored on the earth. And that harmonious union is the ONLY thing that can facilitate the out picturing of heaven on earth. He and She, our heavenly mother and father feel about us no differently that we do as parents to our own children. This divine template is right in front of our faces. Just as a human child suffers so aggregiously without it's mother, so too does a divine child suffer without contact with it's heavenly mother and so it is with the father, as well. But the Father has had a much stronger presence and the mother was forced into the shadows. Can you imagine her grief? Can you imagine our grief as her children? This same grief is here when the relationship with the Father is too powerful, for what happens with masculine energy that is unfettered and uncontained by the feminine force? It LEAVES. It must. Masculine energy is pure freedom! Feminine energy is containment and formation. They are opposing forces that MUST work together to create and not destroy. The energy of the Father guards and protects her so she can come to us. Yet, we must become more deeply aware of our role in this most important mission. It's almost too good to be true, to find out that God is a heirarchial structure, a multi-dimensional being and part of that structure is a mother, most of us never knew we had. Like orphans, we have had the most ultimate wish granted and that is to be re-united with BOTH of our parents. This is happening, now. I stand in awe and joy and gratitude to be among those here on earth when this is occurring. To be even a small part of anchoring this for us all is overwhelming. We are truly blessed and beloved. As above, so below – Our Heavenly Mother wants to be re-united with you. Please let her into your heart. Call to her, Ask for a vision. She was never gone. She comes through the earth (Gaia), nature and humans, but when people don't channel her and receive her gifts with consciousness, she is hidden. Reveal her to yourself. She is the key to what is to come next. Mother of the Light, may you reign as a Goddess of Wisdom within my soul. Be present for me now and in every moment of eternity. for there shall I find my purpose in life revealed. embrace me in your loving countenance and smile gently upon me. As your lost child, give me assurance that your grace is with me always. All streams spring from the font of your heart. and you forever find me worthy of your love. who is my Divine Feminine being, at all times and in all ways. We need your help! We need items donated for our fundraiser Tag sale, which will be held at the church, as well as baked goods and volunteers to work the sale on Nov 14th from approx 7am - 2 pm. We can also arrange to pickup larger items for you! Please call Leo at 239-945-0937 or Rev. Renee at 239-560-6314 for more info or to volunteer or donate items. One of the most powerful ways to find peace and harmony is to simplify your life. One of the best places to start is with your physical space. Clearing out old items that you do not use opens us up to receiving new energies into our lives. So this is a win-win situation. What better way to help a charitable organization than to turn your trash into treasure! 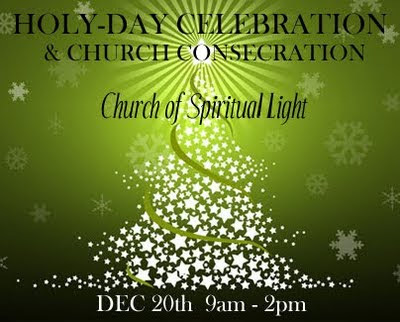 Join us on December 20th as we honor the power and sacredness of the season with a special Sunday Service to bless and consecrate our new church space. Followed by a holiday party and potluck celebration. Please call Rev. Renee Bledsoe to coordinate your dish at 239-560-6314. 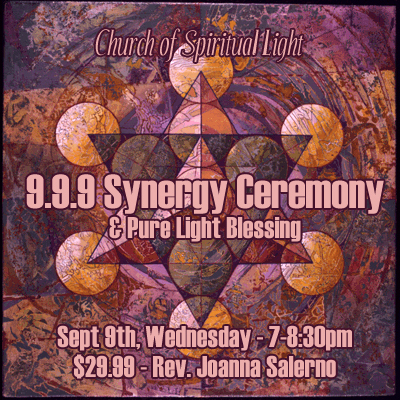 Sunday Service begins at 9:45am with Pure Light Meditation, 10am Service begins, followed by our dinner from 12-2pm. All are welcome. Church of Spiritual Light presents the 2009 Thanksgiving Feast and Giveaway Ceremony. Please bring your favorite holiday dish to share, as well as a small gift which will be given away to honor a very special sacred ancient ritual to show gratitude for our blessings. The gift can be anything that has meaning to you, including feathers, stones, figurines or sacred objects. In order to honor the energy it should be something that you love and not a cast off item. After a church sermon one Sunday, a new member of our congregation asked me how I became an All Faiths Minister. When it happened again last Sunday, I knew it was time to share this story hopefully as a way to break down the separatism between religions, and open a doorway for God, Love, to shine on us all.I believe in the future , the trend will only get larger where more ministers will want to be able to attend to people who come from a variety of faiths in life. A goal of mine is to somehow use the gifts of ministry to positively affect the lives of those in our congregation and any other congregations I am blessed to address as well as hospitals, or those in recovery and treatment centers, who come from a different faith than myself, or even no faith at all.As an All Faith Minister, I want to use the gift of love to assist everyone on their path to personal growth, and if they choose, their walk with God. By having even a minimal understanding of different faiths, ministers such as myself can be of the greatest service to everyone, and even help those who are trying to find the walk with God they feel most comfortable with. My personal walk with God began in the Catholic Church where I served as an altar boy for many years. My aunt Rita, sister Regina, is a nun with over 70 years of dedicated service, so my beginnings were definitely influenced by my Catholic upbringing. Like many people, I left the church when I was old enough to make my own decisions, and quite frankly never believed I'd go back to these beginnings. The church at that time seemed too steeped in traditions from the past, and my short attention span needed something more interesting to keep me on path. Years passed and then I was introduced to Buddhism, and the unbelievable beauty of meditation. My yearning was quenched for several years as I delved into the Four Noble Truths and other powerful Buddhist teachings. 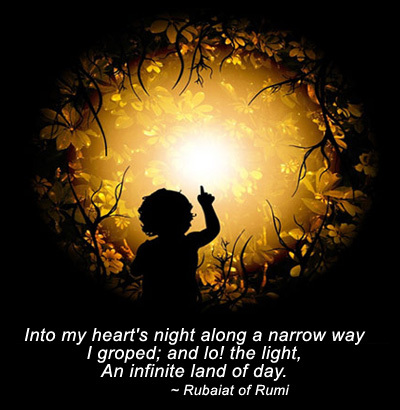 I learned more deeply about the beauty of God within, and fell in love with this way of life, this amazing religion. Then I was introduced to Hinduism, and my enthusiasm for religion reached an all time high. I began to follow the path of Bhakti, a path to God that is filled with daily devotion and prayer to God! Singing God's praise at every turn of the day, my energy for God increased dramatically. . Reading Hindu quotes, scriptures and writings whenever a moment opened in my daily schedule became my love for life. As I delved into these religions, I became more in love with life.........which brought me back to my Catholic upbringing. I went to a mass a number of years ago, and fell in love all over again with what I enjoyed as an altar boy: the rituals of the Catholic Mass. To this day I still love them. When I was asked to lead my first church service in a non denominational church several years ago, I was ecstatic to realize that I could use all of these teachings to assist the congregation to experience the Divine within, the God that resides in each of us. As it is so beautifully stated in the bible,"Made in His image"(Genesis 1:26). My path then took the most amazing turn of all, one I relish to this day. I was asked to lead a congregation as a temporary minister, and the fire was lit. That led me to becoming the co-founder of The Church of Spiritual Light, an All Faith congregation in Fort Myers, Florida. As my path continues, I find myself once again, becoming immersed in the power of ritual, the words of Christ, the power of enthusiastic prayer which once again has filled me with the fire of love, the path of God, as we ascend to higher levels of awakening. Awakening to the realization that we all have free will, to find God within, and to spread that energy, that love, to all around us through our daily actions. I feel even more in love with God now than ever before.I love to read writings from all types of spiritual masters: monks, rabbis, nuns, priests and more, and am about to begin a class on Kabbalah, the mystical arm of Judaism. I daily read scripture from the bible and look for the love that resides in everyone, the God within each of us. Slow down and find love, God, in all you do as we respect the faiths that surround us. Join us for this very special year long medicine wheel journey and get to the center of your self! We all have addictions and in fact our attachments and addictions are what keep us from experiencing the fullness of life. So whether you consciously identify your addictions or not, Addiction Alchemy can help you free your soul! Addiction Alchemy can help you track and transform your life with once secret, ancient esoteric healing modalities and sacred ceremony. Tap into the power and magic of the Medicine Wheel, Tree of Life, Meditation, Energy Healing, Chakra Balancing, Archetypes, the Land and much more. Receive your animal, angelic, spirit and ancestral guides and teachers to assist you along the way. This is an initiation of the shamanic way. There are 6 gatherings. We will begin this journey at the Center of the wheel, moving East, then South, West, North and finally we will culminate in the Center of our Self. Each directional gathering is spaced approximately 6-8 weeks apart. The cost is $50 per gathering and you pay as you go. This is your journey and there is very little hand holding, but there is all the support in the world to help you open your eyes and your heart to receive all that is here to assist you that you may have not allowed in before now. We create the sacred space for you to take it all in. This is a very exciting adventure of discovery and empowerment! 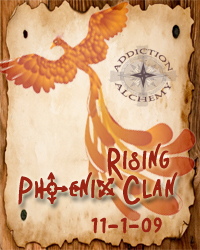 So join us if you hear the call of the Phoenix Rising. 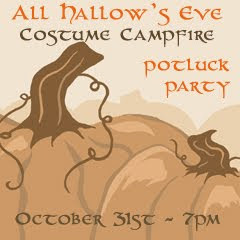 You are invited to gather for an evening of fun and foolery as we feast on Autumn’s finest faire, Make s’mores and tell spooky stories around the campfire, release our fears to the flames, and see who has the best costumes! Go over the draw bridge. Keep bearing to the right and do not go into the Civic Center. Turn Right on N. River Road. (There is a gas station directly across from this road). You'll see signs for the Caloosatchee Regional Park. You go 7 miles and pass the park entrances. About a mile later you will see Caloosa Rd. on the Right. All the homes are off the road and you can only see mailboxes from the street. 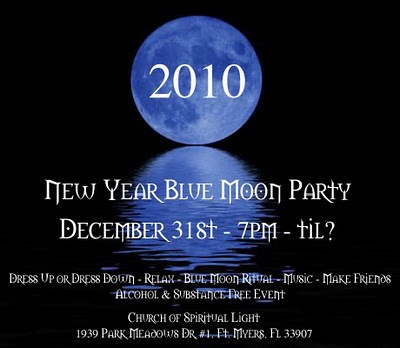 Janice's address is 17780 Caloosa Rd. It is about 3/4 the way down Caloosa Road. We will have a sign at her mailbox. 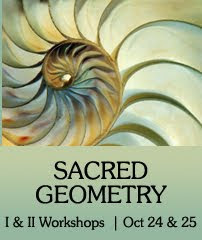 Sacred Geometry 11 - IN SG 2, EXPLORE THE GEOMETRIES FURTHER AND GO DEEP INTO THE MYSTERIES OF CRYSTALS. LEARN HOW TO GRID ROOMS OR HOMES MORE SPECIFICALLY FOR PROTECTION, WHOLENESS, CONNECTION WITH GOD AND MORE. ALSO HEALING TECHNIQUES WITH CRYSTALS ARE TAUGHT. Some of the most amazing teachers that I have encountered in my life have been the homeless. People with little or no material possessions, and many who are in great pain, living on the streets of America. While most of us scurry by these people, afraid of their presence, many other people look upon them with kindness and compassion, very much in the same way that Buddha or Jesus Christ would. There is little or no fear , rather a desire to help them, by offering a kind word, food, pocket change or a smile. In my lectures on personal growth as well as in sermons, I encourage people to practice sending love to everyone, including the homeless, by looking INTO their eyes as you pass them. They, like you, are children of God, who desire and should receive the same respect as anyone else you might know. Yet how many of us have the courage to do this? I have been taught so many incredible lessons through the homeless men that I have met on the streets over the past number of years. One named Joe, touched me so deeply that I dedicated a chapter about him in my book "Heaven on Earth:God Speaks Through The Heart of A Young Monk. " While out for a run one day, I witnessed Joe getting hit by a car, fly 20 feet straight up in the air before landing on the side of the road. As the first person to him, I held him like a mother would hold their child as he wailed in pain until the ambulance would arrive more than 10 minutes later. I saw the face of Christ as I held him, asking him to grip my hand tighter as his pain continued to increase. He shattered my view of what a homeless person was, as I saw the pure beauty of this amazing human being.I visited him in the hospital after surgery, in the rehabilitation center after that, and discovered his trials in life of alcoholism and the loss of contact with his children. I brought him food and clothes not out of guilt, but rather out of respect, for he deserved that regardless of why he was homeless. I found out that the day he was hit he had just gotten a part time job, the first one he could find in a number of years. That same year I was invited to be on Bill O'Reilly's television show "The O'Reilly Factor" to talk about the plight of the homeless, the challenges they bring to many city businesses and what some options were for their welfare. As many know, some cities have facilities that are underutilized by the homeless, while others are swamped with requests for more beds and shelters. Many are homeless by choice, with no desire to seek treatment for their addictions. Others find themselves in this situation due to untreated mental illness, without the mental faculties needed to lift themselves out of their life quandary. If you have not seen the movie "The Soloist",based on a true story, I highly recommend it as a peek into the role of mental illness and the homeless. And others find themselves there due to losing jobs, their homes and their life purpose. Whatever the reason for their situation, we can all learn from these people the power of love and compassion, but only if we are the ones willing to give these two characteristics to them, as they are very much a reflection of who we are. If you cannot do this, it may be time to take a good , hard, long look in the mirror.Slow down to see that yes, the homeless are teachers for each of us. A number of years ago as I was speaking to a group of seekers about our reason for existence, the thought came to me that we truly are human beings having a spiritual experience, rather than spiritual beings having a human one. I do agree with the fact that we begin as spiritual beings, a gift from God at birth, but as I reflect upon what happens from that point on, I see us all as human, growing and evolving along a spiritual path until we reach the end result of becoming fully spiritual, as we ascend from this plane into the light. At this point we leave our human bodies, and become pure light. As I was discussing this just last year during a class I teach at Edison State College, a student reminded me that most spiritual teachers believe the opposite, that we are spiritual beings having a human experience. I do see the value for that belief system, and as I explore more and more about existence, I see for myself a slightly different path. In our younger years, our main focus is survival. we learn to be fed, kept warm, given love and external stimulus in order to learn the basics such as walking and talking. As we look at the various stages of development from then on, if we are on a path of life purpose, not just survival, we begin to explore the concepts of our individual innate gifts, and how to use them to help others in this world. As we evolve further, we see such concepts as unconditional love and compassion as the foundation of life, the two realities that Christ and Buddha brought into great awareness for all of us. We begin to see that as we take these traits on and actually practice them on a daily basis, that our purpose in life totally changes! We are here as servants of God, to create unconditional love in all of our relationships, to be the light that attracts others to us. We start to see even more clearly as we bring these spiritual principles into our daily life that our only purpose here truly is to touch others, to be touched by others, and to rise above the small egos desire to be right, to be noticed. We find that the gift of surrender is the path to enlightenment. We surrender to our partner, and offer them love. We walk the path of understanding versus judgement. We begin to look into the eyes of those who push our buttons, or the homeless, or the crippled with unconditional love. In many religions the full focus as we age is devotion to the spiritual walk, not just talking about it but practicing it daily. Communion with God, through prayer happens constantly throughout the day. We surrender to God every hour on the hour. We devote our life to complete service to the Light, to God, to unconditional love. What a beautiful undertaking! The ascension process goes into high gear as we practice the wisdom handed down to us, as we offer our gifts out of love to help others who are struggling behind us.We awaken in the morning with the prayer, "Please let me be of full unconditional service to my partner, my children, today and everyday. " As we ascend even further on our path this then changes to include prayers to assist those in war, poverty, hospitals, those with addictions, those who abuse others. Yes, we pray directly for those who abuse others! And for those who are abused. Slow down, and see that as we evolve we truly recognize that we are fully human beings, glorious human beings, awesome human beings, having a spiritual experience. We are in the ascension process, looking for ways to be the light that we already are right now, before we leave this plane. But in today’s world, there really is a lion that lies down with a calf…in fact, she adopted and nurtured a total of five antelope calves. It’s a remarkable story of the love of one animal for another, and it seems to personify the truth that not all natural enemies are exactly that—natural and unavoidable enemies. On Christmas Day of 2001, game wardens at the Samburu National Park in Kenya watched as an adult lioness frightened off an oryx antelope mother, and picked up her baby calf in its mouth. Because lions normally hunt these antelope, they assumed the lion would kill and eat the baby. But then the unexpected happened. The lion, named Larsens, began to nuzzle and fondle the frail little creature. Behavioral scientists first stated that the lioness had probably mistaken the oryx calf for a lion cub. 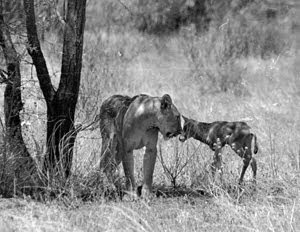 But then the lioness showed her awareness of the calf as another species, because she allowed the calf to return to her natural mother to nurse. For more than two weeks, the lioness Larsens nudged the little calf along, all the while allowing her to return to her antelope mother for nourishment before chasing the mother antelope away once again. The fragile baby oryx was seen crossing the savannah with her lioness “mother,” and would curl up by her side for naps. Tragedy struck one day while the lioness napped by a water hole. While the baby oryx was playing, another lion attacked and killed it. According to the wardens, Larsens was enraged when she woke. Ten times she circled the lion that killed her oryx calf, roaring all the while. Then she disappeared from view. But Larsens would again amaze the rangers with her mothering instincts. 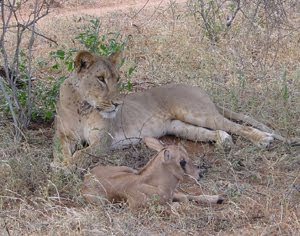 On Valentine’s Day, 2002, lioness Larsens was spotted with another oryx calf. And just like the last one, she’d adopted the calf as her own. It seemed Larsens had learned the need to protect her new baby from other lions and predators. She guarded the new baby ferociously, chasing off any lions that approached. “There are other lions trying to attack the lioness to get to the baby, but the rangers are watching them and the lioness is protecting the calf,” said park warden Mark Lenya-kopir. Unlike the common assumptions of most people, animals do think. Their thinking is not some robotic response to environmental stimuli, but an active, cognitive reasoning. Larsens is proof of this. She adopted a series of what was normally a “prey” species for lions, and protected them as her own. She knew she could not provide nourishment for them, and allowed them to return to their mothers for food. Larsens is just one example of how animals react with emotion, with feeling and with true knowledge of what they are doing. She ultimately adopted a total of five oryx calves, giving all of them fierce protection and tender care while ignoring her own basic needs. Her actions have made her a legend among the people of Kenya, and they bestowed another name on her because of their reverence for her loving nature. The Samburu people call her Kamunyak—the blessed one. Over the years I have experienced the amazing healing power of prayer in my life and the lives of thousands, and today I wanted to share a most personal example of a healing event that recently occurred. Last weekend I went to take care of my partner who had been sick for several days. The day after I arrived to care for her, I was hit with a blazing fever that knocked me off my feet. One moment I was doing a coaching session on the phone, the next I was literally incoherent, laying in bed and asking for more blankets to cover the several that laid on top of me. As I laid there moaning, with one of my legs twitching violently as I searched for relief from the fever and intense nausea that had gripped my stomach, I suddenly found myself stating prayers aloud with no conscious intention to do so. As my partner held me in the most loving of ways, I was straining for God's ear, asking to be relieved of this sickness. "I was not built to break God, please hear my prayer! " I even went to bargaining with God for moments at a time, saying "If it is your will, I will use this healing in my sermon tomorrow at our church." The pain, the fever, had gotten so intense that I had no idea of what else to do but to praise God out loud, and as well ask for His healing.I literally felt delirious at this moment, and asked my partner if she would begin praying for me , right here , right now. She instantly held me closer, and prayed to God to bring the healing power of Jesus Christ through her into my body to heal me . As she prayed with such intensity, I could begin to feel a presence directly behind her, and withing moments I knew it was the energy of Christ. I could literally in my minds eye see him standing there right behind her!Her hands became warm, and within ten minutes the fever had totally broken! The next thing I know, I'm on my back looking straight up to the ceiling and speaking coherently to her, in awe of what had just transpired. My body calmed down, the fever left, and while I would be tired and weak over the next several days, I had felt the healing power of God once again.While this is not new to me, feeling Christ's energy in time of great need or great praise, it was the first time that through prayer someone else had channeled his healing love through to me. God does indeed work in the most beautiful of ways.The power of prayer must be nurtured every day for it to reach it's highest zenith in your life. How you pray is not as important as doing it daily. Slow down, pray daily to experience the healing power of prayer in your life. Here are just a few comments from my last article regarding the surprises we encounter along our spiritual path. "David, Thanks for being so open and transparent with your life so we too might understand those universal truths that might otherwise escape us. I have found that only by allowing God to flow through me do "my" gifts come alive. It seems whatever outcome we might believe we want, the most effective path is honoring our connection to our Source." AMEN! Yes, the path is not about our desires by themselves, but rather a surrendering to the source called God, the Light, The Way, who if we just stop fighting along the way, will open the correct doors for us to powerfully impact others by and with, our unique gifts. "I would never have thought my life would be filled with the peace and happiness it is today, had I not let go of controlling life, and daily asked my Source for the answers to where I could be of most service. The answers will come for everyone, have patience, and thank you for your constant words of encouragement!" I love to read about the lives of people like Norman Vincent Peale, Max Lucado, Bruce Wilkinson , Beth Moore, Ghandi, and others who have devoted their lives to love, to God and the way that each of them could serve this world on their spiritual path. All representatives in their own right of the path Christ lived. Slow down and connect with your path, which may also be filled with spiritual surprises today. Several years ago while attending a personal growth weekend intensive, I was confronted with one of my many surprises along my own spiritual path.One of the quests we were put on that weekend was to try and discover the one area of life that we would like to see a radical shift occur in. After deliberation, I decided to stick with the goal I had selected a few days before and that the financial arena is where my greatest growth could come from in order that I might more powerfully affect this world. I created my intention and shared it with the group. Almost instantly, a woman who had been on the sideline watching my reading of my goal almost jumped out of her skin and said "David you've got it all wrong, it's your spiritual path that you need to focus on. That's where your greatest gifts are, THAT'S WHERE YOUR ATTENTION SHOULD BE. GETTING CLOSER TO GOD, SPREADING HIS WORD IS THE INTENTION YOU SHOULD FOCUS ON. "As I capitalize these words for effect, you get the picture of the enthusiasm she had in sharing her beliefs with me. God uses people as messengers, and often these messengers have messages we may not initially agree with. I went home that night and prayed, trying to see if her words would ring true, and when I awoken the next morning I did in fact see how powerful her message was to me.Yes, she was right. Yes in fact her words made me go directly to God who gave me the same answer. Approximately a year or so later, I was the co-founder of a brand new church in Fort Myers Florida, something that I am so thrilled to be a part of, but definitely a surprise along my own spiritual path. It reminds me of a conversation I had with Deepak Chopra during an interview several years ago regarding the topic "How to know God." The way to know God is to talk with him, to daily create the space and time to be in communion.I had gone into a workshop to learn how to manifest money, and had come out with the drive to become closer to God. Slow down and be open today to the surprises in store for you, if you are open, along your own spiritual path. The word, atonement, is not one that I ever wanted to have in my vocabulary. It always brought to mind thoughts of nasty paybacks, punitive justice, harsh karma, penance and repentence. When I thought of atonement, I'd envision Christ suffering on the cross atoning for our sins. Not something I wanted to focus on. After today, I no longer feel the same way about this word or the concept in general. The thought of redemption through atonement is now something I might even look forward to if it is needed, because I finally got the courage to stand in it, be with it and look it in the eye and see it for what it really is. For on the other side of making amends, humility and surrender (to my own soul) was not a brutal punishment or a defeating humiliation, but a chance to be as one...to be at one...with someone I dearly love... and with myself...and with the world. Atonement gave me the chance for reunion, reconciliation and a measure of closeness and intimacy that I might not have otherwise experienced... A gleaming jewel in the muck. 2. the doctrine concerning the reconciliation of God and humankind, esp. as accomplished through the life, suffering, and death of Christ. I found out that when you walk INTO the pain of what you are experiencing, that it may be a mixed bag, but there is treasure in the dark inner place. This religious language that evokes images of self-flagellation and suffering, "atonement" is not a word I thought I'd come to admire. But after I went with it, went into it and saw that what I had judged in another, what had wounded my psyche was EXACTLY something I had done myself. I experienced that the perpetrator and the victim are one. In the process of reverse engineering my thoughts and not ignoring my feelings, talking openly, praying, meditating and asking for guidance all was revealed. The truth was just there, exposed and vulnerable, but free of anything unclean, no dirty, heavy energy. It just floated up into conscious thought. And it was in that moment that we became as one. I have always said that we are each other's own personal Jesus Christ. We are each other's saviors and we are saving each other from ourselves. We do this by reflecting back the worst and the best of each other. Sometimes, oh boy....that can be pretty hard to take. In fact, when you do not love yourself, to have your "faults"so clearly highlights is excrutiating. In the past, when my love for myself was not so apparent to me, I would run. Not physically, necessarily, but emotionally I would curl up into a tight little ball. Oh, on the outside would be what I now call the death smile...the smile that hides a cracking heart. And it is true...the mere act of smiling has a powerful effect on human physiology. A smile can hide alot of sorrow, and sometimes it can make things OK. But sometimes not. And if this becomes one of your coverups for an addiction to running away, you've just done the physical equivalent of putting a smiley face sticker on your gas tank. Because now it's all covered up in goodness and we are just surviving the lie. And it will take a great deal of pain to crack through that exterior. I want you to know that there is great power in walking into the darkness and remaining vulnerable. It takes great courage and great love to do so. Through the power of true love...true love for myself....for another...for my fellow man I have vowed to wipe that stupid smile off my face and let the real me come forward. The truth does not need to be edited by my smiling face. The truth is the substance of life. And when it is clean and clear to inform our life this is the way to true intimacy - in to me see - and atonement - at-one-ment. We are all one, at the level of spirit....at the level of the mass consciousness..but we are also individuated on this physical plane. Never forget either of these things, because they are inextricably linked to being with wholeness and providing the powers of compassion and forgiveness needed to forge eternal bonds of love. This after all is why we are here...to love...to be with love...to be in love...to express and create our love in a million points of light, with others, with ourself and with all. I honor all my relations. Even the ones that hurt sometimes. All is one. Second: The second principle is a classical spiritual tenet. It is the principle of nonattachment to outcome. To the extent that we are attached to the results of our work, we rise and fall with our success and failures, which is a path to burnout. Failures are inevitable, and successes are not the deepest purpose of our work. This requires a deepening of faith in the intrinsic value of our work—beyond the concrete results. To the extent that our actions are rooted in pure intention, they have a reverberation far beyond the concrete results of the actions themselves. As Gandhi emphasized, “the victory is in the doing,” not the outcome. As one lawyer put it, “How can I possibly go into court and not be attached to the outcome? You bet I care who wins and who loses! If I am not attached to the outcome, I’ll just get bulldozed!” His words underscore the poignant challenge of implementing these principles in practice. Yet he actively seeks ways to love his adversaries. He acknowledges that, although it is difficult to love some of his adversaries, one way he can do it is to love them for creating the opportunity for him to become a strong voice for truth and protection of the natural environment. Third: The third principle is that your integrity is your protection. The idea here is that if your work has integrity, that will tend to protect you from negative circumstances. For example, there are practices for making yourself invisible to the negative energy that comes toward you in adversarial situations. It’s a kind of psychic aikido, where you internally step out of the way of negative energy, and you make yourself energetically transparent so it passes right through you. But this only works if your work is rooted in integrity. Fourth: The fourth principle is related: the need for unified integrity in both means and ends. Integrity in means cultivates integrity in the fruit of one’s work; you cannot achieve a noble goal using ignoble means. Fifth: The fifth principle is don’t demonize your adversaries. People respond to arrogance with their own arrogance, which leads to polarization. The ideal is to constantly entertain alternative points of view so that you move from arrogance to inquiry, and you then have no need to demonize your opponents. As John Stuart Mill said, “In all forms of human debate, both parties tend to be correct in what they affirm, and wrong in what they deny.” Going into an adversarial situation, we can be aware of the correctness of what we are affirming, but there is usually a kernel of truth—however small—in what is being affirmed by our opponent. We need to be especially mindful about what we deny, because this is often where our blind spots will be. Sixth: The sixth principle is to love thy enemy. Or if you can’t do that, at least have compassion for them. This means moving from an “us-them” consciousness to a “we” consciousness. It means recognizing that I am the logger: when I write these principles of spiritual activism and publish them in this newsletter, I give the command to the logger to fell the trees, to produce the pulp, to produce this paper so that I can publish these spiritual principles about how best to save the trees. It is seeing the full circle of our interconnected complicity, and discovering all the problems of humanity in our own hearts and our own lives. We are not exempt and we are not different. The “them” that we speak of is also us. The practice of loving our adversaries is obviously challenging in situations with people whose views and methodologies are radically opposed to ours, but that is where the real growth occurs. Seventh: The seventh and eighth principles are a bit contradictory. The seventh is that your work is for the world rather than for you. We serve on behalf of others and not for our own satisfaction or benefit. We’re sowing seeds for a cherished vision to become a future reality, and our fulfillment comes from the privilege of being able to do this work. This is the traditional understanding of selfless service. Eighth: But then the eighth principle is that selfless service is a myth. Because in truly serving others, we are also served. In giving we receive. This is important to recognize as well, so we don’t fall into the trap of pretentious service to others’ needs and develop a false sense of selflessness or martyrdom. Ninth: The ninth principle is: do not insulate yourself from the pain of the world. We must allow our hearts to be broken—broken open—by the pain of the world. As that happens, as we let that pain in, we become the vehicles for transformation. If we block the pain, we are actually preventing our own participation in the world’s attempt to heal itself. As we allow our hearts to break open, the pain that comes is the medicine by which the Earth heals itself, and we become the agents of that healing. This is a vital principle that is quite alien to our usual Western ways of thinking. Tenth: The tenth principle is: what you attend to, you become. If you constantly attend to battles, you become embattled. On the other hand, if you constantly give love, you become loving. We must choose wisely what we attend to, because it shapes and defines us deeply. Eleventh: The eleventh principle is to rely on faith. This entails cultivating a deep trust in the unknown, recognizing the presence of “higher” or “divine” forces at work that we can trust completely without knowing their precise agendas or workings. It means invoking something beyond the traditional scientific world view. It implies that there are invisible forces that we can draw upon and engage, firstly by knowing they are there; secondly, by asking or yearning for them to support us—or more precisely, asking them to allow us to serve on their behalf. Faith is understood not as blind adherence to any set of beliefs, but as a knowing from experience and intuition about intrinsic universal principles beyond our direct observation, and relying upon these principles, whatever they are, to support us in creating what we aspire to create. This actually brings great relief when we realize it really isn’t up to us to figure out all the steps to manifest our unfolding vision, because we are participants in a larger cosmic will. Nevertheless, it is our job to discover what our unique gift is— our unique role—and for each person to give their gift as skillfully and generously as possible, while trusting that the rest will all work itself out. Twelfth: Finally, the twelfth principle is that love creates the form. As Stephen Levine says, “The heart crosses the abyss that the mind creates.” It is the mind that gives rise to the apparent fragmentation of the world, while the heart can operate at depths unknown to the mind. So, if we begin imagining with our hearts, and work from a place of yearning as well as thinking, then we develop an unprecedented effectiveness that is beyond our normal ways of understanding because it doesn’t have to do with thinking. When we bring the fullness of our humanity to our leadership, we can be far more effective in creating the future we want. In closing, as we enter the third millennium, we are urgently called to action in two distinct capacities: to serve as hospice workers to a dying culture, and to serve as midwives to an emerging culture. These two tasks are required simultaneously; they call upon us to move through the world with an open heart—meaning we are present for the grief and the pain—as we experiment with new visions and forms for the future. Both are needed. The key is to root our actions in both intelligence and compassion—a balance of head and heart that combines the finest human qualities in our leadership for cultural transformation. The above article is adapted from a presentation given by Will Keepin, Ph.D. at Schumacher College, Totnes, England, July 17, 1997. Keepin. Dr. Keepin is president of the Satyana Institute (formerly Shavano Institute) in Boulder, Colorado, a nonprofit organization whose mission is to integrate spiritual principles and practices into social change leadership. He leads training workshops for Satyana’s programs in Leading with Spirit and Gender Reconciliation, and has published over 30 articles. 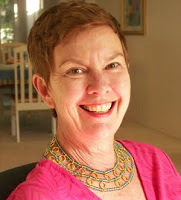 Dr. Keepin is on the adjunct faculty of the California Institute of Integral Studies. Several years ago I found out the true meaning of surrender, and how that act could bring about an experience of grace. And it all had to do with father Ron.After avoiding the issue for years, I finally admitted I had a problem with alcohol. Denial and rationalization had worked wonders in helping me to avoid dealing with the one area of life that was holding me back. For many people, alcohol is a best friend, a definite escape tool that allows us to duck from dealing with reality, our own and that of the world.I decided to check into a 30 day treatment center, The Hanley Center in West Palm Beach Florida. But don't let the location name fool you, as the center was located in the middle of "crack city". I was not going to a posh beach side resort to get clean, but rather an amazing powerful center in one of the worst areas of town. After spending a few days in the detox wing, to prevent any chance of convulsions due to the removal of my daily alcohol fix, I was asked to briefly stop by the Spiritual Director's office where I met Father Ron. A Monsignor in the Catholic Church, Fr. Ron asked me to enter , but not to sit down as this would be short. "Why do you think you're here?" he asked. "Well, to get sober I guess, or to learn to drink moderately, or maybe to get on a medication to stop my desire for alcohol", I answered, still in somewhat of a denial of this disease. "What if I were to tell you you are here for none of those answers? ", he asked. I stood there dumbfounded, not having any idea of what to say. "Listen, I know about your work, your books, and feel I have an idea about your path in life. I want you to meditate on what I'm about to share with you tonite, and tomorrow. Then we'll meet at 2pm, and talk about this concept.The only reason you are here is to get closer with God. To become one with God. If you take the next 30 days in this center, and devote yourself to this purpose, you will never desire alcohol or drugs again for the rest of your life. Think about this, I'll see you tomorrow. " With that, I was gone. As I walked away, I could feel my head spinning. What was he talking about? I had been meditating for 20 years, praying daily for many more, and felt an already deep connection with God. How could deepening my relationship with God, cure addiction? I thought about his statement all nite, and at 5am the next morning went to walk the track and meditate on his words. Within 15 minutes, a whole new world, a whole new understanding of life had opened before me! Yes, I had felt the Grace of God, right on the track! Yes I now knew what Fr. Ron had said was true! A lightness filled my being, Grace had been administered, and the opening had come through the words he shared. For the next 30 days, I immersed myself into the work of God, through prayer circles, meditation, group therapy, one on one spiritual counseling and more. I surrendered my knowledge of addiction, and became a sponge to everything the counselors would share with me. At the end of the 30 day stay, I had been reborn, healed at the deepest of levels, and that healing still continues to this day through my own daily rituals and the mission of my life. If we ever want to reach the highest level of our existence on earth, we will at some point have to realize the reason for our existence: to create the deepest of love through daily devotion.Now admittedly, this is a huge undertaking, but the end result will surely be more than worth our effort. As I write this, I can reflect on the relationships that did not work, partially due to the fact that I never consciously, verbally, and in writing, offered this type of unending devotion to my partner. Why? Because then we are held accountable. Then we will be asked daily to prove our words to be true. And quite frankly, that can scare the hell out of us. But oh my Lord...just think of the most amazing end result if we now choose to walk this path! To devote our self to our partner, our lover, offers the deepest ,most intimate of all relations. To consciously, together, repeat that we are devoted to one another for life........to rise above the small ego's pettiness, to let go of resentments AS THEY OCCUR, and yes, to not hold them a second longer than necessary. To awaken each morning with the mantra, "God, direct me to do more for my partner today in all ways, show me the path to serve them with devoted love. "Now that, is devotion. Are you ready to walk this path with me? Are you ready to open your heart to the most vulnerable of all places to flow in the love of the divine with your partner? To be free of past conditioning of what love means, and to jump off the cliff of true love, with your mind simply wrapped around the concept of serving your lover? In Hinduism, one of the paths to God is called bhakti yoga. Simply put, it is a path of love, where everything you do all day long is devoted to God. As you work, walk, eat, you chant God's name. As you read scripture, you devote yourself to God. The emotion of love for God is the driving force behind this path. It is the driving force of life.We can use this metaphor and take it another step forward by deciding to love God with all of our heart, and then put this same energy into loving with deep devotion, our partner as well. I have heard of so many "arranged marriages", where the partners fall into this type of devoted love. Even in the beginning, if they were not overly attracted to their arranged partner, over a short period of time they fell madly in love due to their devotional mindset! !Think about this!!! Can you imagine what you and I can do, if we devote ourselves to loving a partner who we are attracted to??? If they can accomplish this after being "set up" in a marriage, can you imagine what we can do as well, when we enter our marriage/relationship by choice? When I think about devoting my life, my love, to my partner, it brings about a feeling of surrender. A feeling so deep, that it can barely even be described. When we choose to do this together, a whole new world, a whole new definition of love becomes a part of our beings. Divine union has just occurred, and yes, we can then experience Shambala, or Heaven on Earth. Decide today to walk this path with me, to create the most sacred of relationships. What if you are living the wrong life? How can you rid yourself of fear? How do you stop relying on outside conditions and take control of your life? Come and discover your reason for Being. What is your legacy? What are you leaving for your children? Maybe you are successful in business, sports, family, and your life seems full. Yet, in the quiet still moments haven’t you asked, “What does it all mean?” Haven’t you wondered about your purpose? Most of us stay too busy to ask the important questions. Then, something happens. An event, a change in lifestyle, something makes us STOP. It’s then that we realize we are only superficially happy. You have a right to be happy. You have a right to be healthy. You have a right to a beautiful relationship. You have a right to riches in whatever form they come. Are you missing much of the richness, joy and satisfaction that life has to offer? If you are, I understand because I was in that situation for the first 20 years of my own life. Now, I am sharing with others what I learned so you don’t have to make the same mistakes I did. For the past 6,000 years all our great teachers and philosophers have agreed on one thing: we create what we think about. Learn how to control what you think and bring into your life what you want. If you are not certain about what you want, what your true Purpose is, you will know by the end of the seminar! 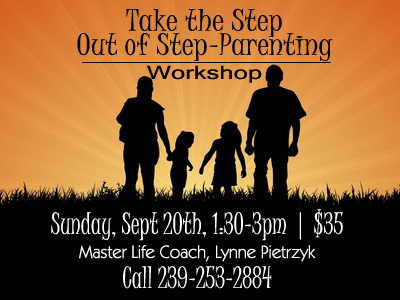 Contact: Jasse Matasse jasse.success@gmail.com or 772-332-3889 to RSVP. Cost: $37 and bring a guest for Free!